Aston Villa Football Club is proud to announce an innovative new technical kit partnership with Fanatics, a global leader in licensed and performance sport garments and premium menswear brand LUKE 1977. 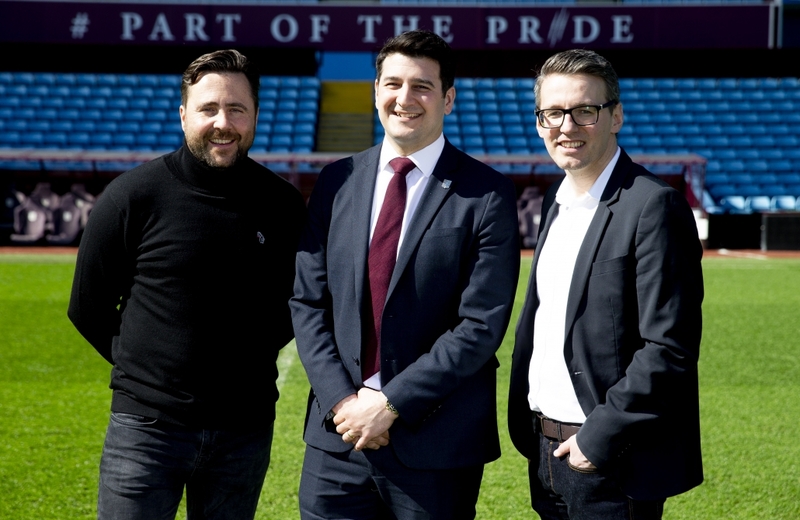 The arrangement sees Fanatics extend its successful relationship with the club, by becoming the official kit manufacturer,while continuing to deliver its multi-channel retail capability to the club, including management of the Villa Park store. 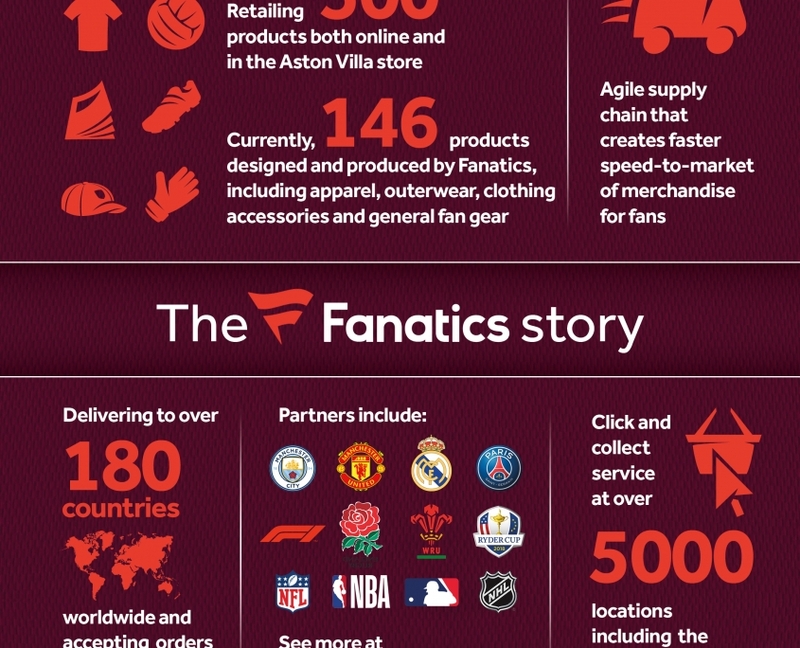 Fanatics’ internationally recognised manufacturing profile will ensure that the quality of the kit remains best in class and the retail offering Villa provide will continue to exceed the expectations and needs of its fans. 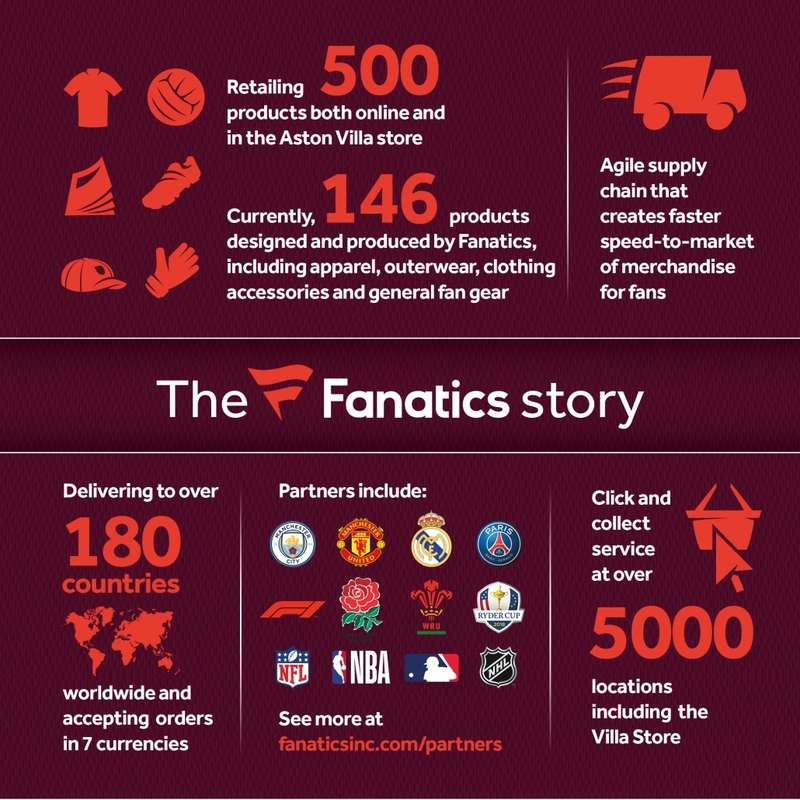 With Fanatics’ technical expertise on board, the partnership expands and enhances Villa’s retail offering to its vast, global fanbase. The club’s merchandise will continue to be showcased in the Villa Park store and on-line. 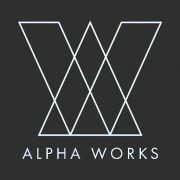 LUKE 1977 is a contemporary menswear fashion label with Birmingham engrained in its DNA. 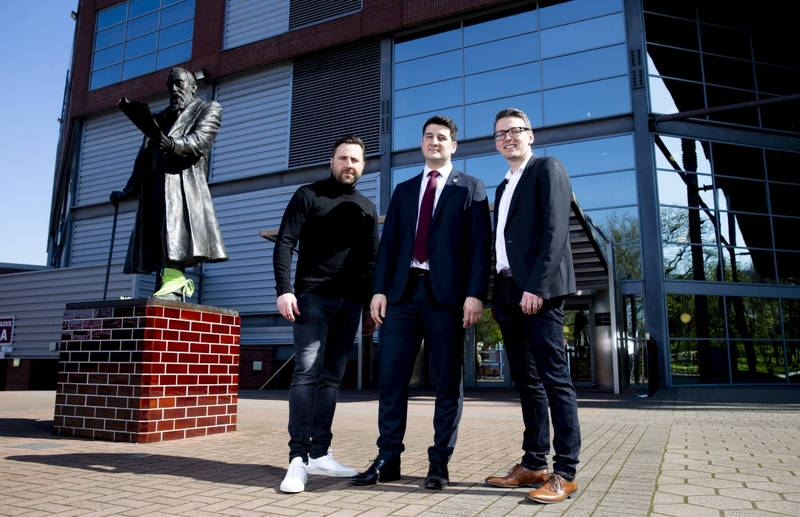 The brand, headed up by Birmingham bred Aston Villa fanatic Luke Roper, will maintain the quality and heritage of a kit that has played such an iconic, significant role in the Creative Director’s life. 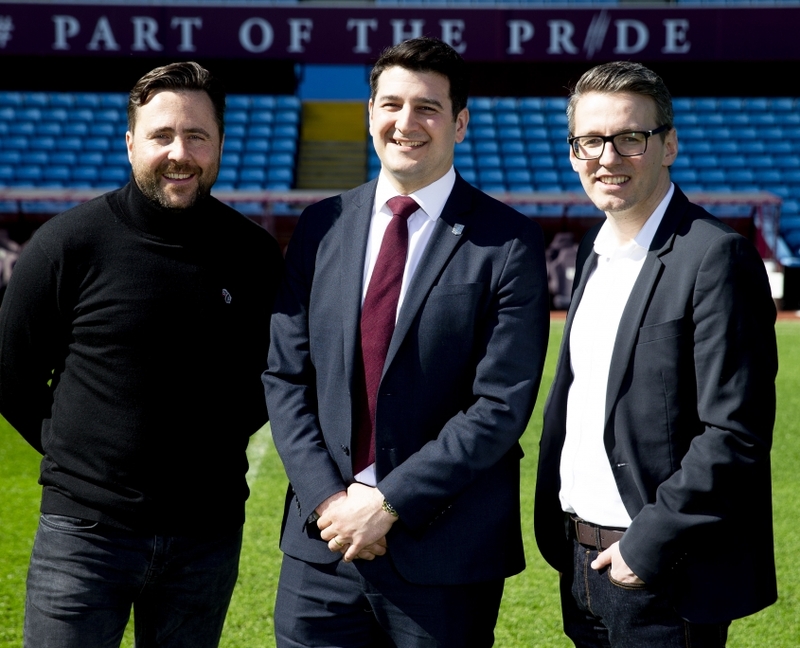 This partnership has allowed Aston Villa to provide fans with a kit that has resonance with its Birmingham roots and ultimately develops its engagement with the local community. Known for its market leading technical tailoring and unique sport’s utility designs, LUKE 1977 worked collaboratively with AVFC and Fanatics on the design element of the club’s 2018/19 kit. The design benefits from the input of lifelong Villa fan Luke Roper, who understands the history of the shirt, and the technical prowess of Fanatics. 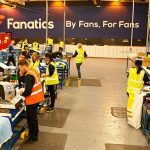 As both retail partner and kit manufacturer, Fanatics will operate a full vertical-manufacturing model, meaning the new kit, bearing the LUKE 1977 brand logo, will be managed by a single company from production to point-of-sale. This means fan merchandise enjoys faster speed-to-market in an increasingly on-demand world. “The deal with LUKE 1977 and Fanatics represents a true partnership. All parties work collaboratively to deliver the very best product for our fans. Extending our prosperous relationship with Fanatics can only benefit the Villa faithful and working with LUKE 1977, headed by lifelong Villa fan Luke Roper, is indicative of our commitment to the Aston Villa fanbase.